DePaul Cristo Rey offers a range of competitive and club athletic opportunities for students. 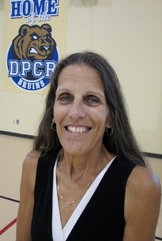 The Bruins play in the Ohio Valley Christian Athletic Conference (OVCC). For additional information about the athletic program, please contact Athletic Director Lynne Morris at lynne.morris@dpcr.net or 513-861-0600.